NEW DELHI: WhatsApp said Friday that it is restricting the ability of users in India to forward content, the latest attempt to curb mob violence sparked by rumours spread through the hugely popular app. Crazed mobs in India have killed 21 people in the last two months over unfounded allegations forwarded on WhatsApp. India, a nation of 1.25 billion people, is no stranger to mob violence, with well-documented cases of crowds turning on victims for every manner of transgression, real or imagined. But the spread of smartphones — there are a billion plus handsets, and data is cheap — to even the most remote corners has enabled rumours to be shared at lightning speed. 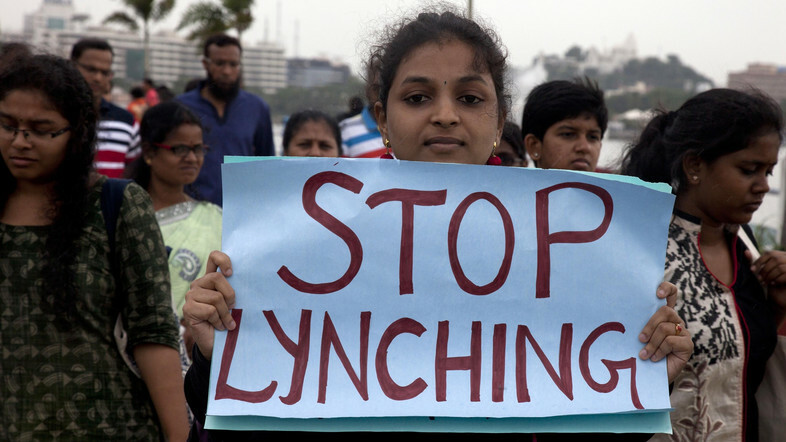 In recent years, for example, there has been an escalation in “cow vigilantism” — Hindu extremists murdering Muslims and thrashing low-caste Dalits accused of killing cows or eating beef. Victims have included homeless people, a transgender woman, two picnic goers, an elderly woman handing out chocolates to children and a 27-year-old software engineer. The rumour blamed for many of the recent incidents emerged over a year ago in eastern India, claiming strangers were sedating and abducting children. Seven people were killed there in two attacks in as many days. In February this year, the rumours resurfaced 1,000 miles away in western India, and reached the south by May. It was often accompanied by a grainy video purporting to show men on motorbikes stealing kids. The footage was in fact from a Pakistani public safety film. Other images supposedly showing dead Indian children with their organs stolen were in reality of Syrians killed in a gas attack. Indian police say there is no substance to the rumours. Authorities have rounded up suspects and formed patrols, driving village to village to quash the rumours. In some areas, travelling musicians sing about the scourge of fake news. Authorities in some states shut down internet access in a desperate effort to stop the hoax from spreading. But the campaigns had limited effect. In one instance, an official “rumour buster” was himself beaten to death. India’s Supreme Court told the government this week to make a new law to rein in “mobocracy”. Earlier this month, the Indian government turned its fire on WhatsApp, calling for the firm to take “immediate action”. WhatsApp said it was “horrified” by the lynchings, and announced new features to help users identify messages that have been forwarded. The Facebook-owned firm ran full-page adverts in Indian newspapers offering tips to its 200 million users in the country to separate fact from fiction. But on Thursday the government again let loose, threatening legal action this time. WhatsApp responded the next day, saying it would test limiting the ability to forward content and cap at five the number of contacts or groups that messages can be transferred to. However, it rejected government demands to enable the tracing of messages, saying communications on the app would stay “end-to-end encrypted”.